This explainer is being continuously updated; click on a question below to read the answer. What are the biggest fires that are currently burning? How do these fire compare to others in history? Are these fires caused by climate change? So if this is the new normal, what’s the best way to fight fires? Update: Sunday, July 1, 2:39 PM: Firefighters have contained 45 percent of the Waldo Canyon fire, and evacuations continue to be lifted. Officials slightly increased the count of houses destroyed to 350, and the death toll was raised from one to two. 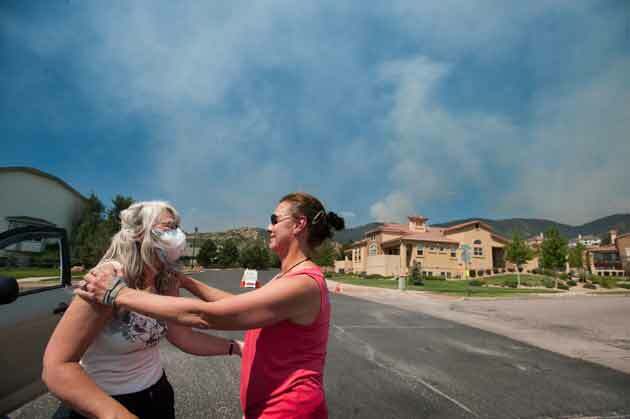 The Denver Post reports on residents confronting the damage here; the Boulder Daily Camera‘s take is here. The High Park fire is now 100 percent contained. Udpate: Saturday, June 30, 10:30 AM: The High Park Fire is almost completely contained, an most evacuees are returning to their homes. Meanwhile, the Waldo Canyon fire is now 30 percent contained, but since the weather has become hotter and drier, firefighters expect a challenging weekend. The Denver Post reports that burglaries occurred at several of the homes that were evacuated. Friday, June 29: There are currently ten active wildfires in Colorado. 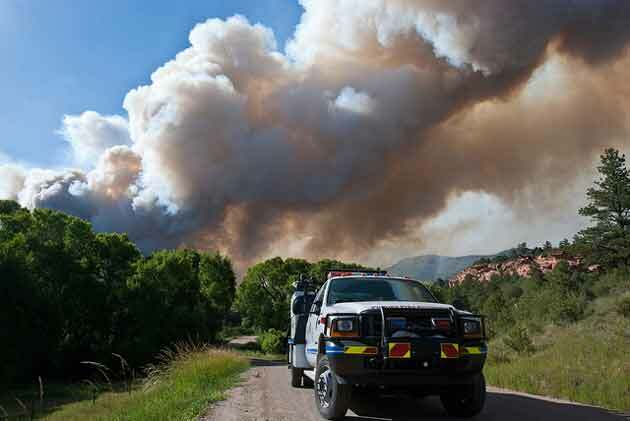 The second most destructive wildfire in Colorado history, the High Park Fire started near Ft. Collins on June 9 and has burned more than 140 square miles and destroyed 257 homes, to the tune of $36.4 million in firefighting costs. 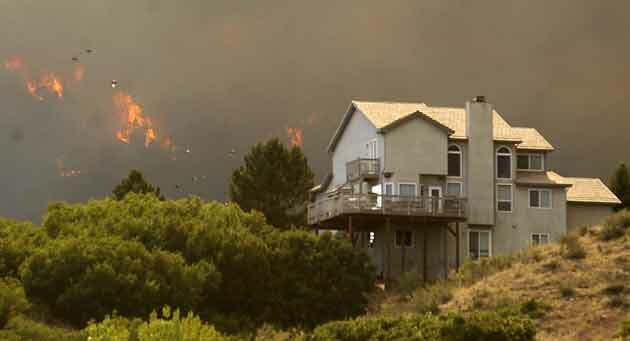 It is now about 85 percent contained, and nearly 2,000 evacuees are just returning home. It’s expected to be completely contained by July 1. You can see before and after aerial views of the landscape around both the High Park Fire and the Waldo Canyon fires with this cool USGS tool. How do these fires compare to others in history? In late May, the Gila National Forest Fire became the biggest in New Mexico history, eating up more than 265 square miles. While neither of the big Colorado fires has yet to claim such a title for itself, the governor is already calling it the worst fire season in state history, with four dead statewide, hundreds of structures destoyed, and nearly $40 million spent. In a conference call with reporters this morning, leading climate scientists Dr. Steven Running of University of Montana and Dr. Michael Oppenheimer of Princeton explained how more frequent and severe wildfires are a predictable by-product of global warming, as higher temperatures leave dried-out forests just a lightning-strike away from uncontrollable blazes. Scientists are reluctant to attribute these or any fires directly to man-made greenhouse gas emissions. Still, the fires fit squarely into a pattern predicted by climate models that show emissions driving warmer winters that lead to longer, drier summers. Courtesy NOAAA 2009 federal study found that higher spring and summer temperatures are the principal cause of more and bigger fires in the Southwest. 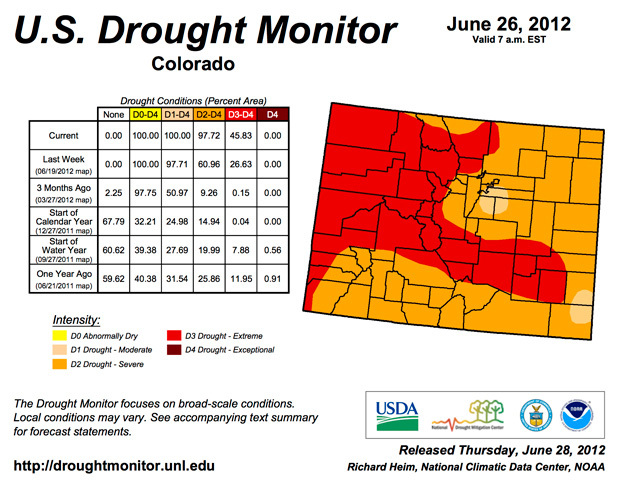 Movever, Running added, higher winter temperatures mean less snowpack to keep fallen wood moist; this year, Colorado’s snowpack has been 80 percent below average. Warmer winters also benefit the invasive pine beetle: More beetles are surviving the winter and emerging hungry, leaving a wake of dead trees that make perfect kindling. The important thing, Running said, is to keep brush buildup low by using carefully controlled burns and collecting and reusing dead wood from the forest floor. Firefighters should also focus their efforts on areas near human development, and let fires out in the wildnerness burn more freely. This week, at least one Washington lawmaker railed on the Forest Service for not doing more to aggressively battle the flames. But Running cautioned that with high winds, the fires “are like a nuclear bomb going off,” and that telling anyone to simply stop them is like telling NOAA to simply stop hurricanes before they reach land. Both scientists agreed that if, as predicted, wildfires continue to become more frequent and severe, there will only be so much we can do to control them. 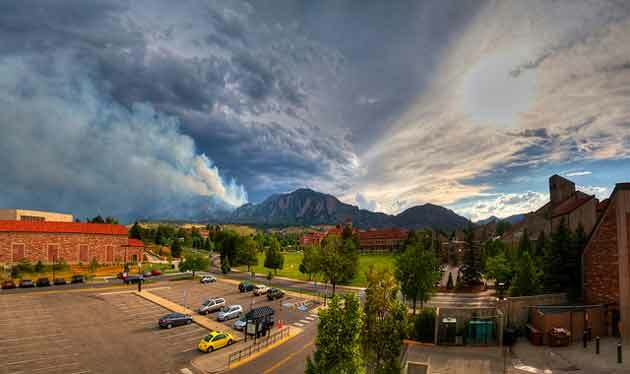 Correction: An earlier version of this article incorrectly stated that the photo taken from the UC-Boulder parking lot was of the High Park Fire. The sentence has since been fixed. 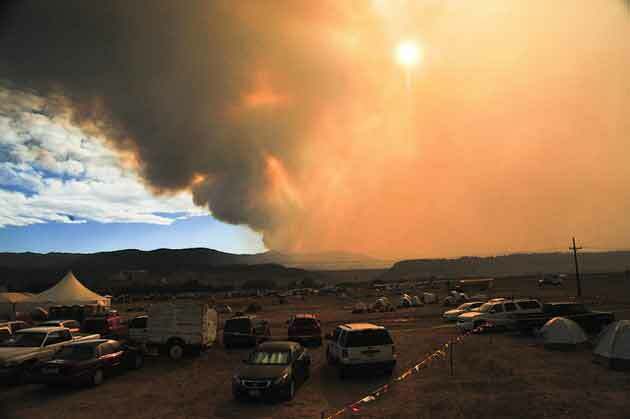 Colorado Wildfire: Our Scorching Future?